On Sunday April 1 at 8 p.m., BET will present the 12th annual Celebration of Gospel. The highly anticipated music special airs for the first time in its 12-year history during the Easter Season, further enriching the power, meaning and significance of the “Celebration of Gospel,” says BET.com. The two-hour special, to be taped Friday, March 16 at 8 p.m. PT at the Orpheum Theatre in Los Angeles, brings together gospel superstars and R&B legends to share the stage in not often seen dynamic and exclusive performances. The No. 1 Gospel/Religious telecast since its inception is hosted by best-selling author, veteran comedian and media mogul Steve Harvey. This year’s stellar line-up includes the very best that gospel and secular music has to offer with performances by Gospel greats Kirk Franklin, Yolanda Adams, Pastor Shirley Caesar, Fred Hammond, Marvin Sapp, The Rance Allen Group, James Fortune & FIYA, 2012 Grammy-award winner Le’Andria Johnson, Jessica Reedy, Earnest Pugh, Isaac Carree, Moses Tyson Jr. Ricky Dillard & New G, Zacardi Cortez and Maurette Brown Clark. 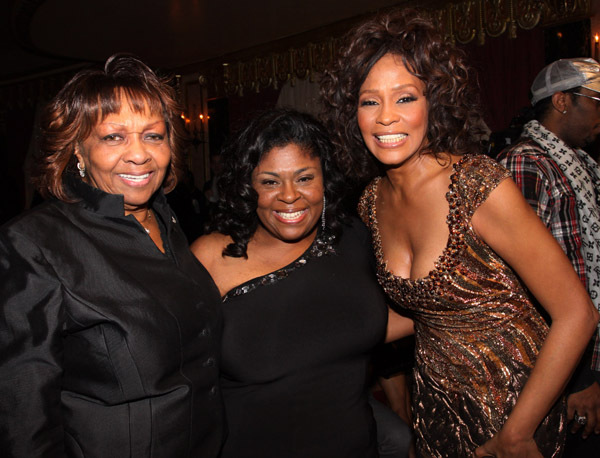 The celebration will also include tributes to legendary singers Whitney Houston and Mahalia Jackson.